The façade of the new 204,000-square-foot Renzo Piano-designed facility rises from the back of 32 Quincy Street. On the first, second, and third levels, the new building adds more than 12,000 square feet of new gallery space—bringing the total to 43,000 square feet—some designed specifically for instructional use. Natural light streams in from a glass roof above the fifth level. 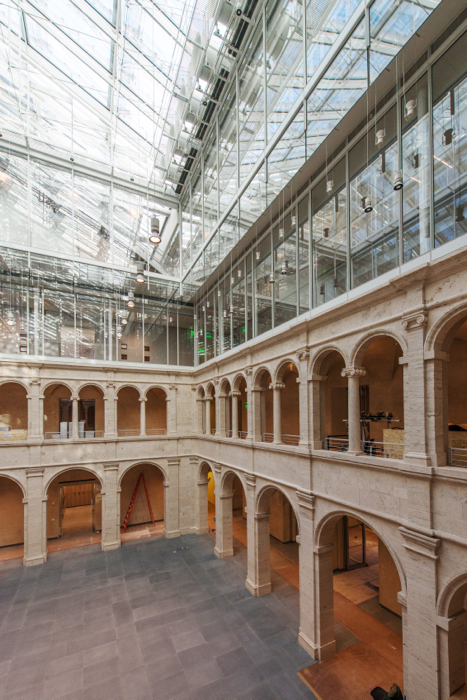 University officials announced today that the Harvard Art Museums will open their new 204,000-square-foot Renzo Piano-designed facility (as seen in this preview of the new building) to the public on November 16, 2014. 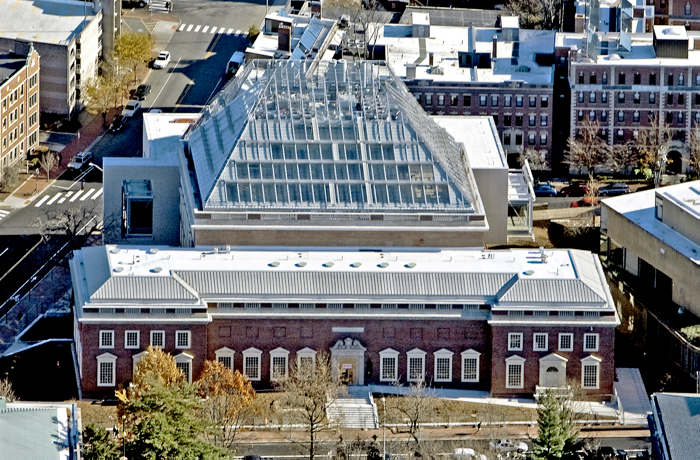 The $350 million renovation and expansion will bring together the Fogg Museum, the Busch-Reisinger Museum, and the Arthur M. Sackler Museum under one roof for the first time at 32 Quincy Street, allowing students, faculty, scholars, and the public access to the museum’s acclaimed collections. 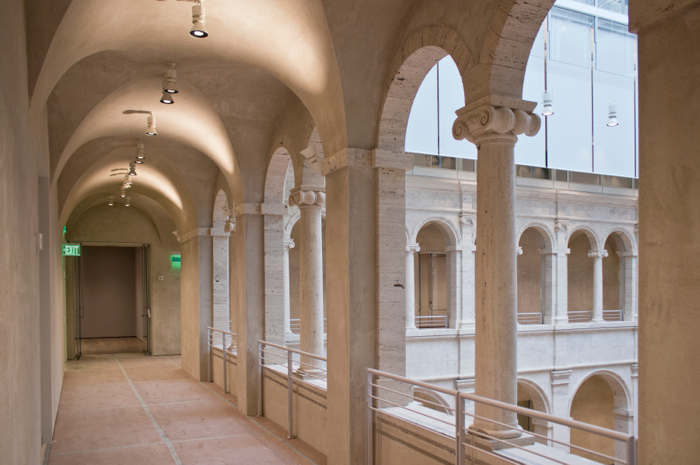 The space, officials said, is designed specifically to create places for close engagement with individual works of art for both the Harvard community and the general public. A café and a museum shop will flank the courtyard on the first floor, and the public will be able to visit both without an admission fee. The opening will include a series of events, beginning with a celebration for Harvard students. Special events—unspecified at this time—for faculty, donors, museum supporters, alumni, and others will follow, culminating in a preview for Cambridge residents ahead of the public opening on November 16. 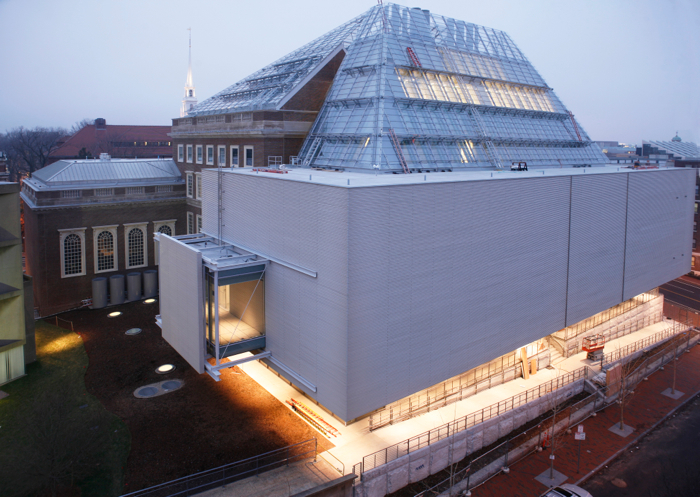 Read the art museums' announcement here.